Every year at KW Mega Camp, there are big announcements, along with powerful keynote speakers and career enhancing training classes. In recent times, the big news was becoming the largest real estate company in North America and growing to over 100,000 associates. So what’s the big news today? In the past year, Keller Williams has increased it’s lead as the largest brokerage in regards to agent count, growing four times the rate as the National Association of Realtors (NAR). Since January 2014, KW has added 12,000 associates, making the total agent count just above 107,000! In addition to agent count, KW has seen a 10% increase in transactions, a 15% increase in closed volume and a whopping 16% increase in commissions earned. With all these solid gains across the board, market center profitability is substantial. Owner profit has increased 17%, with 96% of offices being profitable, which allows for more opportunities for training and sharing of ideas. Not to mention profit sharing, the innovative program that rewards associate for growing the company, which has just surpassed half a billion dollars! 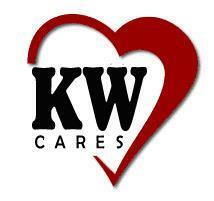 KW Cares is something special that really embodies the culture of this company. We treat each other as family, so what happens when a family member is in need? We help them. In the past year, KW Cares has awarded more that $2.8M in grants to associates who have fallen upon hard times, either due to health issues or natural disasters. It’s our way of helping our fellow associates to get back on their feet. In addition to record growth in North America, KW Worldwide made the announcement that worldwide expansion is in full swing as well. With offices opening soon in Mexico and continued growth in Turkey and South Africa, it won’t be long before the most successful real estate business model in the industry is implemented in all countries around the world. It’s a huge world out there and the goal of Keller Williams is to get into business with leaders who are committed to building their teams with training and following the culture of a company that truly cares about it’s associates.